One look at the stormy showers outside the window, and the thought of piping hot pakodas, samosas and a hot cup of tea comes to mind almost instantly. And why not, after sweating it out for two months, binging on crunchy fried delicacies seems like the reward we all deserve and had been waiting for. But sadly, the damp weather also makes one susceptible to several diseases associated with the monsoon season like cold and flu, throat infections and tummy problems. Your immunity levels tend to be low during seasonal change and your body becomes vulnerable to catch infections. The excess of moisture in the air make it perfect for bacteria and microorganism to breed and this can hamper our ability to process foods and our metabolism tends to slow down. Due to this, our digestion and immunity is compromised severely. To counter this, you need to fortify yourself from within with the maximum inflow of vitamins. A bowl of piping hot soup can come in handy to make you feel strong and at the same time it offers protection. It keeps your body hydrated and can also be a good source of protein. The flavourful toppings of of garlic, onions, and ginger impart a warm feel and keep you snug as the weather becomes a bit chilly. Talking about the health benefits of having soups, they may help to de-clog your nasal passages and also promote increased secretions which helps in flushing out bacteria and viruses. Bangalore-based Nutritionist Dr. Anju Sood tells us, “Our immunity system tends to take a dip during this season. We are more prone to infections and therefore, our bodies need a constant flow of vitamins and minerals. Soups are great ways to load up on all the nutrition. 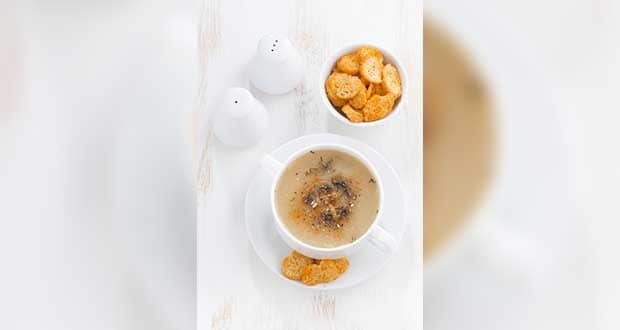 However, I would advise to go for clear soups over the thick cream-based ones.” According to Meher Rajput, Nutritionist at FITPASS, “Mushrooms are loaded with vitamin D and antioxidants which play a role in building your immunity. You can use them in a hot mushroom soup. 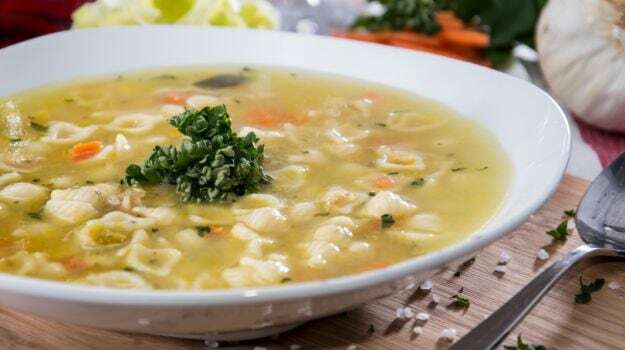 Also, chicken and mutton soups are good to derive strength as they are high in protein.” Here are a few healthy soup ingredients that you must experiment with. 1. Mushrooms: They are full of B Vitamins, Vitamin D and antioxidants. B vitamins have been linked with healthy immune functions. They are also rich in selenium- a mineral touted to alleviate the risk of severe infections. Mushrooms are a great source of proteins as they contain all 17 essential amino acids required by the body. 2. Meat and Fish: Whether it’s chicken, mutton or fish and seafood, all of them are rich in protein. Not only does our body need protein to build and repair its tissues, but it also plays a vital role in boosting white blood cells that are responsible for fighting infections. Meat also supplies Vitamin B, zinc and iron. Omega-3 fatty acids (from fish and seafoods) is also an essential component in keeping up the body’s defense mechanism. 3. Dark and Leafy Vegetables: Leafy greens like cabbage, spinach and broccoli are high in vitamins A, C and E, as well as folate, antioxidants and fibre. Try and include them in soups with a hint of aromatic spices. 4. Spices: Load up on immunity boosting and anti-inflammatory spices like turmeric, mustard, asafoetida (hing), coriander, turmeric, fenugreek (methi), cloves, pepper, cinnamon, garlic, ginger and curry leaves. They not only add a fresh flavour to your soups, but also boost your immunity and aid digestion. 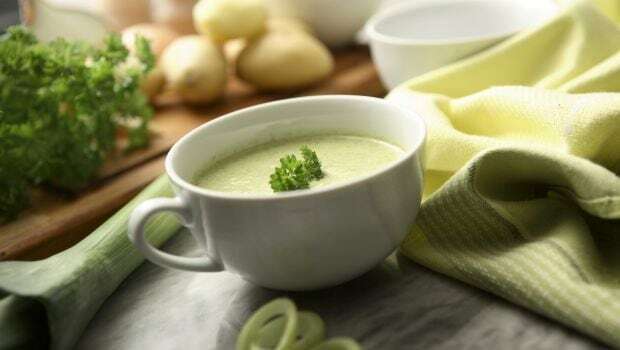 Here are few interesting soup recipes you can try at home this monsoon. 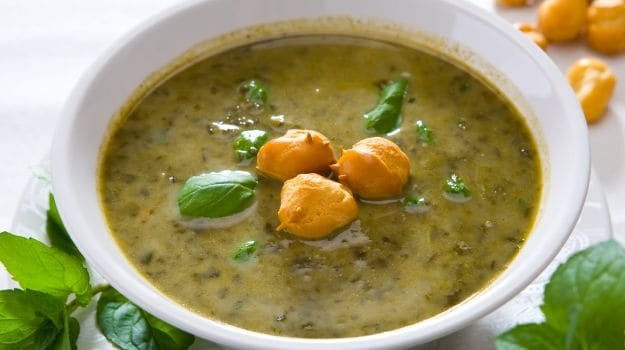 A good old spinach soup loaded with the goodness of fenugreek leaves, mustard seeds, turmeric powder and topped with crispy cottage cheese croutons. 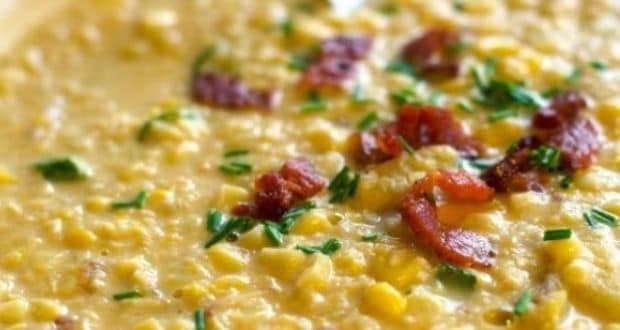 A nutritious and wholesome stew, packed with the season’s favourite – corn and a whole lot of aromatic spices. A sumptuous broth made with the goodness of chicken and a great variety of mushrooms – button, shiitake, shimeji, enoki, and chanterelle. Wholesome and satisfying. An authentic Tibetan broth, made with succulent chicken pieces simmered in a flavourful broth with fresh vegetables and spices. Easy and quick to prepare, this soul-stirrer is a must try. It makes for an ideal light supper with the goodness chicken, fish and spinach. Make these soups fresh at home and enjoy them on a chilly evening. Aren’t these the simple pleasures of life?